Manifesting Reality: Doubt...the greatest sin of all? Doubt...the greatest sin of all? 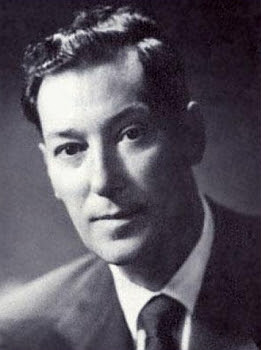 Neville Goddard said Doubt was the greatest sin of all. Here we are worshiping a Higher Power, but the second TSHTF we panic! How many different variations of Matthew Chapter 7, verse 7 do we need to hear? I say "variations of", because this thread runs all through manifesting techniques. Yes it doesn't say SOME things. Believe, do not doubt. Even though your senses tell you "no". Faith. In the Old Testament, the Hebrew word means essentially steadfastness. Neville taught to get caught up in the mood. Imagine your desire right here, right now fulfilled. Don't look at it as through a camera, be IN it as though an actor. Don't see yourself being handed money, being in good health. FEEL yourself being handed money. FEEL yourself being healthy. Don't worry about how it will happen. Just know that inside you, it already has. Although doubt can self punishing, and as crippling as any disease. Doubt is not a sin. I once had a sweetheart, until she began to doubt my love for her. Now we are no more. Alas, fear and doubt keeps friendships at bay. It is a very sad thing indeed, when someone you like, doubts your sincerity. I agree with your point. Doubt gets in the way of manifesting anything. So we should let go of ALL of our doubts...because we don't need them anyway! They are of no use to us! My blog from yesterday was of a similar subject :) Thanks for a great post!